Diverter Boxes: Turn the knobs and deduce from which exit the balls and scarves will fly. Speed Test: Which flies faster, the ball or the scarf? Why does one move slower? Cannon Catch: Feed balls and scarves into the tube while a friend catches them before they hit the ground. Zip, zag, zoom! 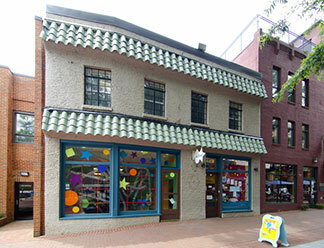 Installed in 2011 in honor of former Executive Director Peppy Linden, Amazing Airways is one of our most popular exhibits and the first area visitors encounter as they walk through the door. 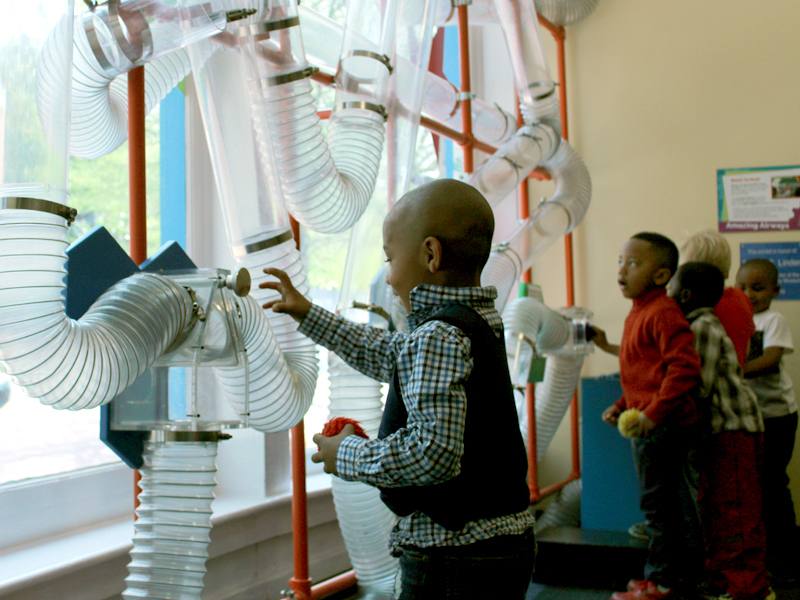 Explore airflow as you send colorful balls and scarves whooshing through a tangle of tubes and turns in this massive pneumatic air system.